I have been obsessed with summer produce this year. Everything from zucchinis to heirlooms tomatoes to peaches and perfect wild blueberries. I can’t get enough! My plan is to gorge myself with as much summer produce I can in the hopes I can last for 6 months until the next summer harvest. Today I teamed up with #Foodiechats and Wild Blueberries in celebrating the burst of my favorite antioxidant..Wild blueberries! I wanted to create something creative yet easy. Not that blueberry pie and blueberry muffins aren’t delicious, but I was craving something more savory…something spicy! One of my favorite condiments for cheese is pepper jelly. We just discovered it last year and always have a jar in the fridge and ready for cheese platters. I absolutely love the sweet and peppery bite it has and it pairs perfectly with something creamy and luxurious, like cheese. I haven’t ventured into the world of making jellies yet but it’s distant cousin, chutney is right up my alley! Throw everything in a pot and boil. Done. 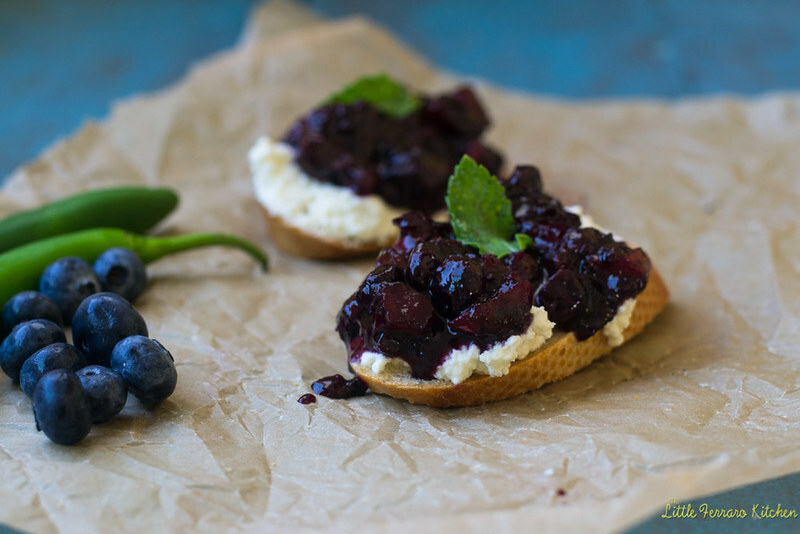 This Wild blueberry chutney couldn’t be easier! In a small pot add in all your ingredients! I was craving something spicy so I added a serrano pepper (sans seeds) and warm flavors like ginger and cardamom. I let the whole thing boil for about 10 minutes to reduce and after it cooled spread it on toasty baguette with creamy ricotta cheese. This bite was savory, mildly sweet and perfectly spicy! Ricota Cheese (Make your own ricotta cheese! Combine all ingredients in a pot and bring to boil. Allow to boil for about 10 minutes until it reduces and thickens. It should be thick enough to coat the back of a spoon. Once done, allow to cool for 10-15minutes. 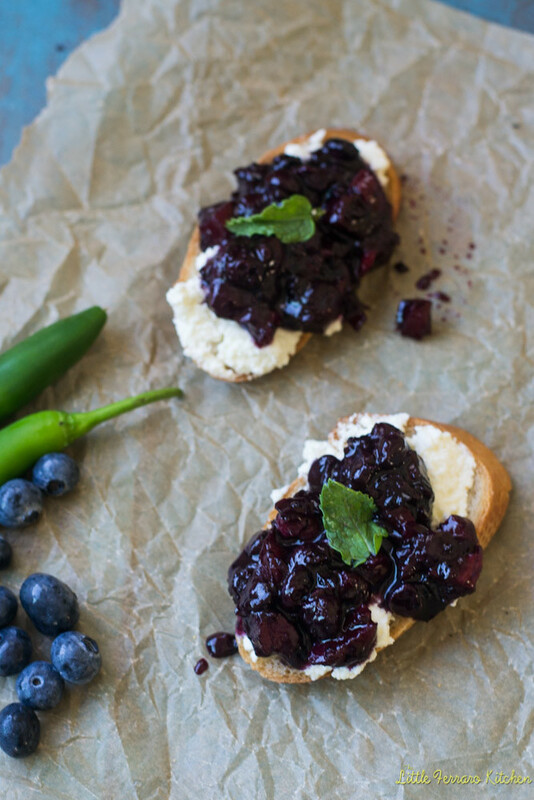 Spread ricotta on toasted bread and top with a spoonful of blueberry chutney. Garnish with fresh mint and serve. Blueberry chutney makes about 1 1/2 cups and stores well in mason jars. 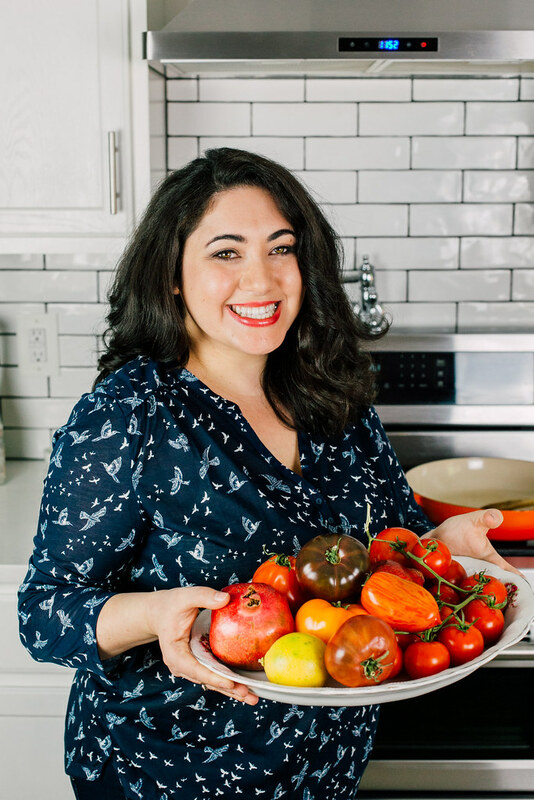 Also, if you’re a Twitter lover like me…come join some fabulous foodie conversation on Monday nights 5pmPST with #Foodiechats. Monday August 11 theme is “Wild Taste of Summer”. I’m all about blueberries this summer too! 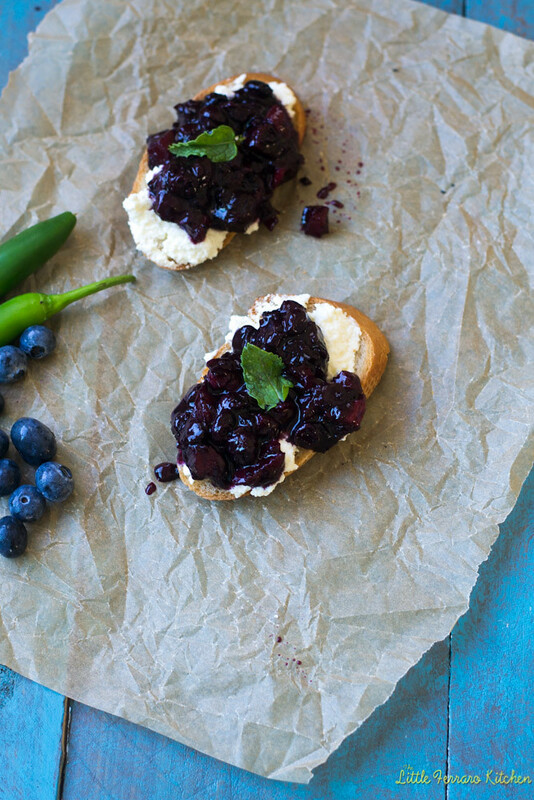 And blueberries + ricotta? What a delicious combo. Wow, this sounds like a great chutney. I would have never thought adding ginger and cardamon. Totally intrigued that you mixed serrano peppers with blueberries!